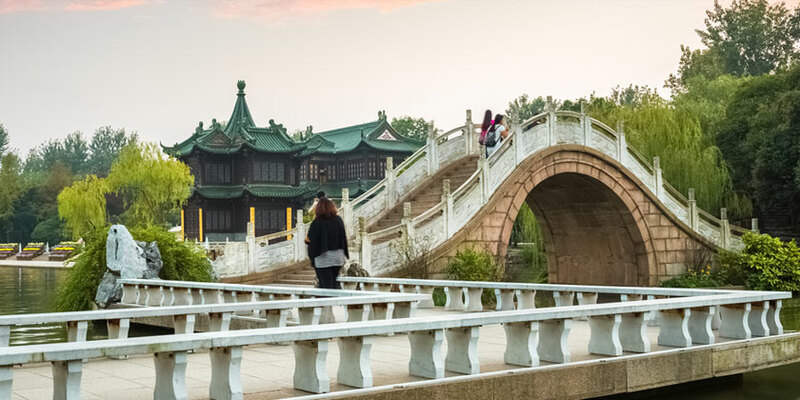 Climb aboard one of United Airlines® many flights to Hangzhou and discover the dreamy, illustrious side of China. A collision of superbly clean city living and green, hilly countryside, Hangzhou is both storybook scenery and Chinese watercolor come to life. For a nature filled excursion, breathe in West Lake’s famous panoramic views atop the many skyscrapers, or explore its surroundings by bike or by foot. For a bite of history, visit the many religious temples scattered among the city and its outskirts. Stop in the China National Tea Museum to learn about the several tea-producing villages high in the hills. Relax on the beach of Xiaoying Island where you can view the Three Pools Mirroring the Moon, a string of three small towers in the water, each of which has five holes that release shafts of candlelight on the night of the Mooncake Festival in autumn. Whether you’re looking for a bustling city experience or a cultural immersion into the Chinese way of life, Hangzhou delivers in the form of booming historical significance and gorgeous natural beauty.